The founder of Papa John’s, John Schnatter, on Thursday announced plans to step down as CEO. Last month, Schnatter sparked controversy by slamming NFL leadership for its handling of players’ protests during the national anthem. The founder has previously spoken out against Obamacare and donated $US1,000 to Donald Trump’s presidential campaign. The controversial founder and CEO of Papa John’s, John Schnatter, is stepping down, the company announced Thursday. The company said its current president, Steve Ritchie, would replace him. Schnatter sparked controversy in November when he slammed NFL leadership over players’ kneeling during the national anthem to protest racial injustice and police brutality. “Leadership starts at the top, and this is an example of poor leadership,” Schnatter said in a call with investors. The CEO’s statements quickly inspired backlash on the left and support on the right. The Daily Stormer, a white-supremacist website, even posted an article asking whether Papa John’s was the “official pizza of the alt-right” – the chain responded that it did not want “hate groups” buying its pizza. This is not the first time Schnatter has stepped down as CEO – he did so in 2005, after a period of declining sales at the company, then returned three years later. 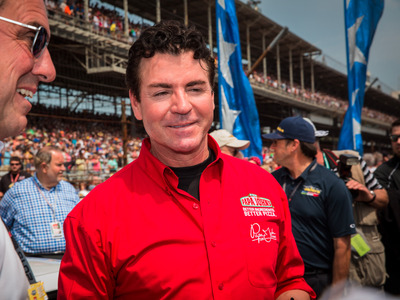 Schnatter has a history of making political statements that spark controversy. He came under fire in 2012 for saying the Affordable Care Act, the healthcare law better known as Obamacare, would be a “lose-lose” for Papa John’s franchisees and employees. Schnatter argued that it would cost Papa John’s $US5 million to $US8 million annually and ultimately drive up the price of its pizza. The backlash was swift, with many promising to boycott Papa John’s. The company’s shares slumped about 4.2% at the time,Forbes reported. PAPA: The Story of Papa John’s PizzaA young Schnatter. Schnatter has also spoken out extensively against what he says is over-regulation. In his 2017 book, “Papa: The Story of Papa John’s Pizza,” Schnatter argued that regulations were steering the US away from a system of free enterprise he believes crucial to the nation’s success. “America in 2016 is on the path to becoming what Germany was in 1867,” Schnatter wrote. 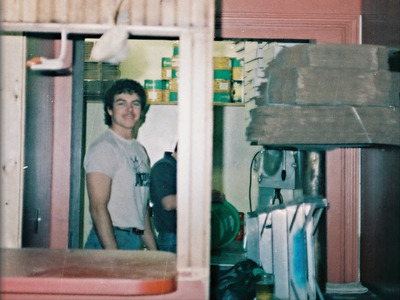 Schnatter’s great-grandfather immigrated to the US from Germany in 1867 as a young craftsman seeking work. The US was a land of opportunity where people were free to become successful without fear of attack or government interference, Schnatter said. Speaking with Business Insider in January, Schnatter emphasised that he thought regulation in the US needed to be dialed back to help businesses thrive. “You’ve got to have free markets with limited government, with the proper amount of regulation where you don’t jam entrepreneurship,” Schnatter said. Schnatter donated $US1,000 to Donald Trump’s presidential campaign, though he did not publicly voice support for him.